Today, I am finally showing you all how to make your own pizza dough! After so many requests I figured it was finally time for me to share my recipe with you all! 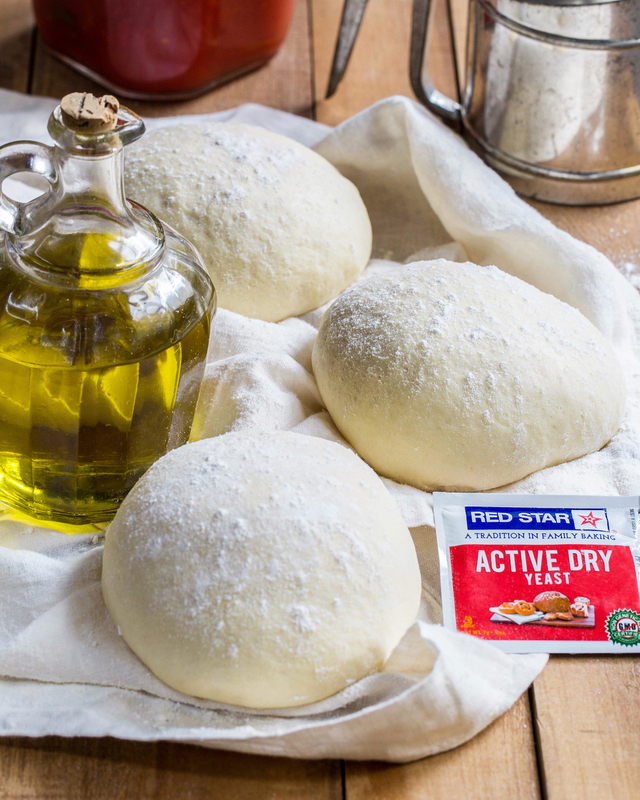 For the video, I teamed up with Red Star and used their active dry yeast to make the dough rise perfectly! This pizza dough is great for all type of pizza. You can use it for thin crust, thick crust, deep dish; everything! I would suggest trying it for my Pesto Pizza or Pizza Margarita recipes! In the bowl of a stand mixer, combine the warm water and sugar. Sprinkle the yeast on top of the warm water and allow to proof for 5 minutes. Add in the flour, olive oil, and salt. Mix with the dough hook attachment until the dough comes together into a ball. Knead the dough on a lightly floured surface for 5 minutes, until smooth. Place the dough in a large greased bowl and set aside to rise for 1 hour. Divide the dough into three even pieces and set aside on a lightly floured surface, cover with a linen towel, and allow to rise for 30 minutes. This is a sponsored post written by me on behalf of Red Star®. The opinions and text are all my own. Thank you for supporting my sponsors that allow me to create new and special content like this for EitanBernath.com!